Bridesmaids meets Lost in this compelling novella about a destination bachelorette party gone awry from the author of Losing the Light, one of Redbook’s Best Books of 2016.Hannah—knee-deep in nailing down catering plans and floral arrangements for her upcoming nuptials—is ready for some R&R. Stealing off to a quiet, secluded island off the coast of Washington state for good wine and fresh air with her four best friends seems like the perfect way to spend her bachelorette weekend.But the island may have other ideas.Halfway through the trip, the bride-to-be mysteriously disappears, leaving the bridesmaids confused and increasingly panicked. To make matters worse, there’s something…amiss about the house they’re staying in. As the tension rises, personalities clash, secrets spill out, and the girls begin seeing and hearing things they can’t explain. While Hannah’s friends desperately try to discover what has happened to her, an ominous storm rolls in that could trap them on the island indefinitely. Now the girls who came to celebrate with Hannah begin to wonder, is she going to make it to the wedding? Is she going to make it home at all? 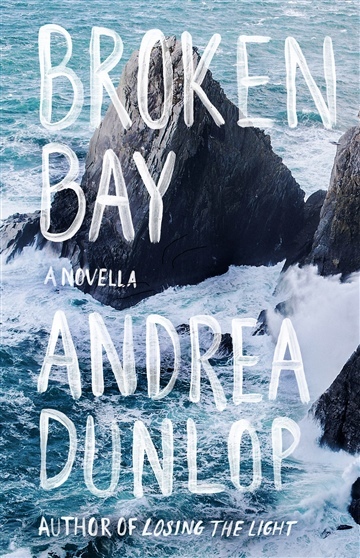 Andrea Dunlop is the author of Losing the Light--one of the Redbook's Best Book's of 2016--the novella Broken Bay, and the upcoming novel She Regrets Nothing all from Atria (Simon & Schuster). She lives in Edmonds, WA with her husband.